Microblading over a scar comes with a couple of very key caveats and important pieces of information you should know. Let’s get into it so you can walk away with the information you were looking for! So you have a scar but are interested in microblading and want to know more? Well, we’ve got you covered! Microblading can be great for covering up scars but we first recommend a picture to ensure your safety. First things first. 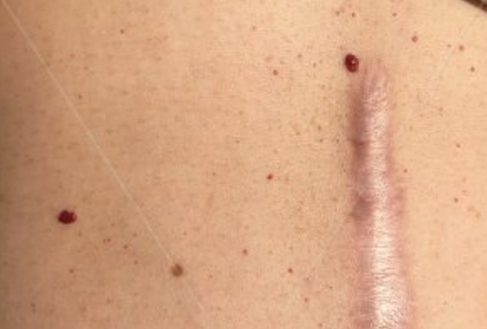 It depends on what type of scar you have as there are several different types out there. For example, keloid, hypertrophic, contracture, acne scars, etc. If you have a keloid scar in your brow area, unfortunately, we are unable to microblade over it. If you have any other type of scar, then yes we are able to microblade over it! Keloid scars are scars that typically rise up above the rest of the skin and are a pink or red color. They normally have a smooth feel on the top of them and enlarge progressively. Keloids are a result of a serious healing process. If keloids are cut into they can result in an even larger keloid scar, which we would never want. It is an area that is to be remained untouched. Therefore, we do not microblade over keloid scars. 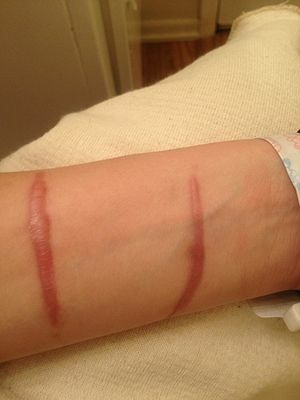 Contracture scars are usually caused by burned skin. You will have to wait until your scar is fully healed. We don’t want to work on a bumpy red scar. Once healed, these skin tightens and becomes more smooth and because of this, it is an easy cover-up. 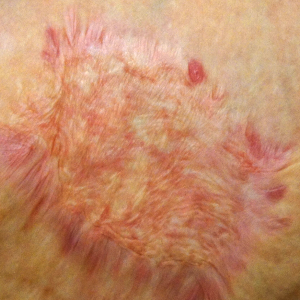 Hypertrophic scars are similar to keloids as they are raised and red but do not grow beyond its area. They are the response to any trauma or injury. Since the area is thick, raised, and wide, it is not in your best interest to get microblading. 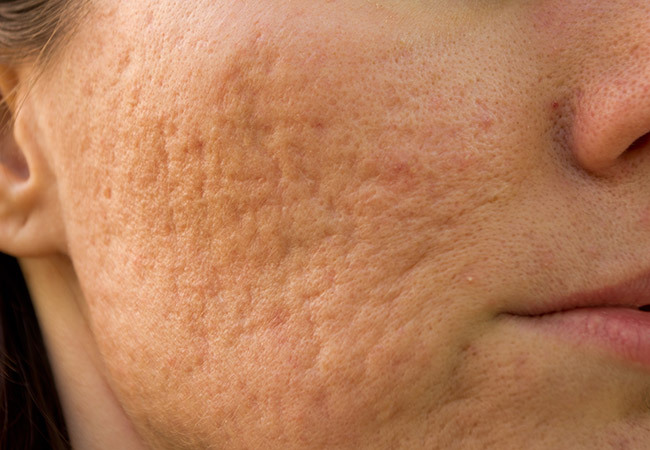 Acne scars are caused by inflammation and usually result in red scars or abnormal pits on the skin. Once you have healed you are able to get microblading. Just make sure you aren’t on Accutane as this is a no until you have been off of it for a year as previously discussed in another blog. There is not much underneath to worry about so, therefore, this would be safe to microblade over! When you choose to get microblading over a scar it is important to know that you will most likely require more touch-ups. The skin isn’t as thick and in its natural state so even though it is completely safe, it is good to know the pigment color may not stay as well. So instead of an annual touch up, you may require them every 6-12 months. It is also normal for the microbladed brow area to heal differently than the rest of the brow with no scar in its area. As mentioned above the pigment may heal differently. So if you’re thinking about getting microblading over a scar, don’t be nervous! Just make sure you send in a picture to us at betterbrows.cincy@gmail.com and we will definitely help guide you! We want to make sure you understand the difference between the difference scars to make the best decision! Microblading can make a huge difference in this type of scar cover-ups! You have the ability to cover up the scar and fill in gaps where the hair no longer grows. Pretty awesome, ay!? Click here to see who should not get microblading. Read here to see if you can cover a tattoo with microblading. Check out to see if microblading is right for you.